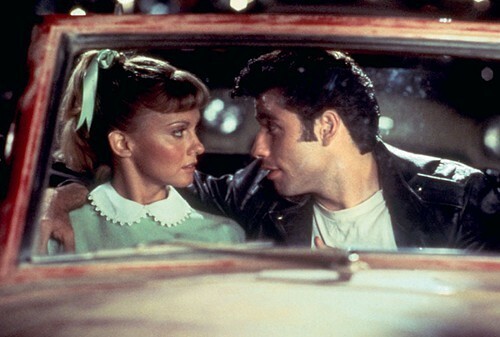 Sandy and Danny (Olivia Newton-John and John Travolta) at the drive-in in the 1978 classic Grease. The days of sock hops and poodle skirts may be over, but that doesn't mean you can't still enjoy an old-fashioned date with your sweetheart. Saturday evening activities of days gone by aren't just appealing because they are of another time, but because they are timeless. Ditch your cell phone for a few hours this weekend, and enjoy one of our top five picks for an old-fashioned date night in the Hudson Valley. The classic date-night activity combines some of the best parts of summer: the open sky, lazy nights spent lost in the story and spectacle of a good flick, and, of course, popcorn. Local drive-in theaters offer bargains during the week ($6 tickets), including the Hyde Park Drive-In, Poughkeepsie's Overlook Drive-In, Fair Oaks Drive-In in Middletown, and the Warwick Drive-In. Tune in on your radio, cozy up with some blankets, and maybe even stay for the double feature. If you don't have a car, some Hudson Valley towns show movies on the big screen al fresco-style, including Water Street Cinema in New Paltz and Kingston Park's Movies Under the Stars. Swing dancing, that is. On the first Saturday of every month Got2Lindy Dance Studios hosts a swing dance at Mac Fitness in Kingston, with a beginner's lesson at 7:30pm, a performance at 9pm, and dancing until 10:30pm. West Coast Swing Dance will also present a community dance at Mac Fitness in Kingston on June 8, and Hudson Valley Community Dances hosts an event at the Port Ewen Reformed Church on June 16, which includes a beginners lesson and dancing from 6-9pm. You don't need a partner to attend, which means maybe you'll meet your date on the dance floor. Goofy shoes make for a great icebreaker, and the Hudson Valley has no shortage of opportunities to wear them. Hoe Bowl Family Fun Center has locations in Catskill, Kingston, Poughkeepsie, Walden, and Wappingers Falls. Fishkill Bowl, Ro-Lin Lanes in Red Hook, and Pat Tarsio Lanes in Newburgh are some additional Hudson Valley spots where you can lace up and practice your strike. Try to keep your ball—and head—out of the gutter. Roller skating isn't just for kids. There's something about gliding unstably in circles that can be quite exhilarating for adults, too. At Hyde Park Roller Magic, music is provided by a live DJ, and though Skate Time 209 often caters to young people, they attract adult crowds on Sunday and Thursday evenings, playing classic '70s music through the night. Take a few spills, help each other up, and have some laughs—the best dates are usually the ones you don't take too seriously. It's a simple yet fail-proof equation: one glass + two straws = fuzzy warm feelings. Share a booth at a retro diner, like the Eveready in Hyde Park or Rhinebeck, which serves shakes, malts, classic root beer floats, and egg creams, or the West Taghkanic Diner in Ancram, an original roadside diner in operation since 1953.